I am super OBSESSED with mini sweet peppers. They have been part of my daily meals for over 2 weeks now. They are more on the sweet side rather than the spicy side. I have used them in Indian food, sandwiches, Chinese food, Marinara sauce and even in a yogurt dessert. Admittedly, the yogurt dessert didn’t turn out that great, but, it was an clever exercise in creativity. They are perfect for stuffing because they hold their shape well under high heat and hold a whole lot of stuffing. For this recipe, I went towards the Mexican route. Mini stuffed peppers offset well with a little spicy stuffing. The stuffing consists of (affiliate link) yellow rice, corn, onions and beans. If you prefer, you can go the brown rice route. The beauty of this recipe is that you can serve this as a side dish to any main meal. I am thinking it will be great in any vegetarian tapas party. When I baked these mini sweet peppers, my entire kitchen had delicious aromas that I have never smelled before. I was like Pepe Le Pew gliding in the air towards the pie in the window sill. The aroma was a mixture of sweet and spicy with just a hint of tang. You have to try it and report back. I am sure you will find ways of bottling that aroma. Given the colors of these meal, I thought it would be perfect to serve for Valentine’s day. It looks so elegant and it only took about ten dollars to make. The beauty of this recipe is that it can work for any holiday season. Thanksgiving, Halloween, Christmas and even Cinco de Mayo. If you have a family member with gluten allergies, here is a perfect gluten-free recipe to serve them. The creamy enchilada sauce is made from gluten-free flour and coconut milk. The stuffing is made from short grain rice and beans. 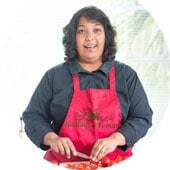 Looking for some best practices on how to cook rice? This is how I cook basmati rice or rice of any type. 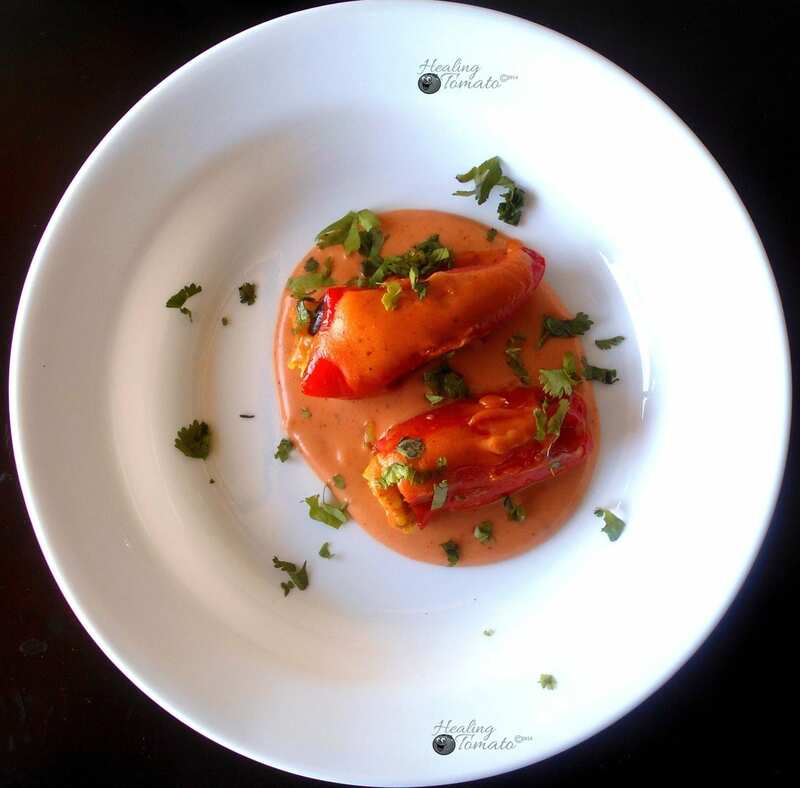 How do you plan to use these mini stuffed peppers? This recipe is best served hot. This looks like a delicious meal! I love spicy food. I’ll be trying this one for sure! What an absolutely stunning dish! And as always, your photography is beautiful! Thank you for sharing another amazing recipe! I cannot wait to make these! They look so delicious and this is the kind of dish we love! Pinned! I know I’d love this recipe Rini! If your goal was to make me hungry and jealous, I have to say you have succeeded. Those stuffed sweet peppers look delicious! I want this now…why have I not stuffed a pepper yet!!! HT, you are fabulous. I want to dive right in! Thank you, Michelle! I think you will like this recipe. Love this recipe. I am on a pepper kick too! I love those mini peppers too, I always grab a bag when I’m in the produce section. 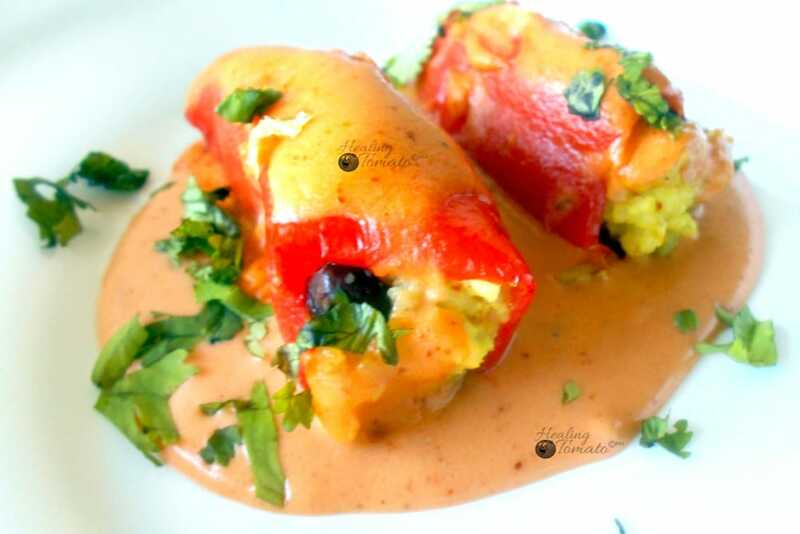 I love stuffed peppers, this is a great use of your enchilada sauce, I really have to try this.